Most recipes will still tell you to use a light batter or dredge in flour when frying but with today's non-stick pans, it's not necessary for a delicious low-carb treat. Frying fish is a great way to bring out the natural flavour and add just a hint of caramelised buttery taste. A medium heat will never get your oil over 180C and ghee or olive oil are my favourites... butter's fine too; just watch it for burning. 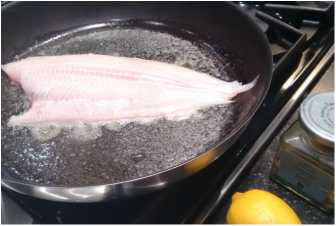 For flat fish such as sole, salt lightly and fry gently for 5-6 minutes on the first side and after gently turning, 4 further minutes - according to the size of fish. Serve with the buttery juices and freshly squeezed lemon - that's it. 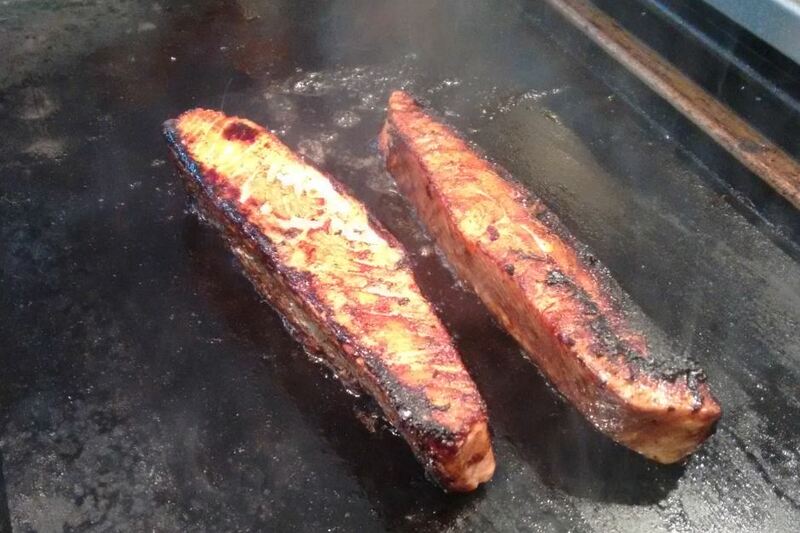 ​ For a quick salmon dish, I marinate mine briefly in soy sauce before frying in butter or ghee on all sides. And when it comes to grilling, you can use a base of well greased aluminium foil or a fish griller (see photo). Your fish should sit for 5-10 minutes to bring it up to room temperature before oiling and seasoning. 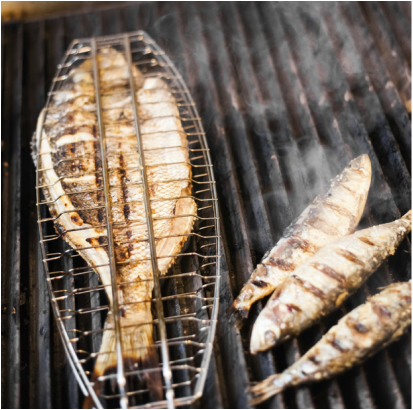 If your fish is on the skin, you can try putting it straight on the grill but make sure it's really warmed up first - that helps eliminate the possibility of sticking. 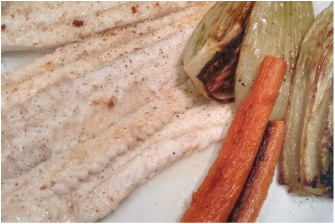 Using a non-stick pan, you should have no problem with this simple dish... the fresher the fish the better it tastes. ﻿The edges of the fish contain small pieces of bone and cartilage so these should also be removed before drizzling with lemon juice. No batter, no flour needed. For a quick treat; try marinading for a few minutes in soy sauce before gently frying in butter on all sides to your preference.